More and more research is showing that inferior vena cava filters may just be the Tools of Satan. At least Hematologist Tom Deloughery thinks. In this chapter, Tom and Heidi discuss a recent article on the diminishing role of IVC filters in thrombosis management. An IVC filter is indicated in someone who has a contraindication to anticoagulation. If that contraindication is short-term (and many are), then attempt to have the IVC retrieved and anticoagulation started. Evidence is mounting that IVC filters are associated with complications that increase the longer they stay in place. The IVC filter: a device placed in the inferior vena cava to prevent a blood clot from traveling to the lungs. The idea is not new but became more popular when it became easier to put in and retrieve with the help of interventional radiology. They were approved as a Class II medical device with few data to support their efficacy. When do you consider an IVC filter? Beyond that, the guidelines from different societies differ and there is wide variation. In the PREPIC Trial, patients were randomized to get permanent filters or anticoagulation. In the group who got the filters, there was risk reduction of PE but in the long-term no mortality difference and actually doubling the rate of DVTs in the filter group. In the PREPIC 2 Trial, they used removable filters. There was no mortality benefit and it increased the number of embolisms. 34% of filters actually get retrieved. Some of these filters migrate if not removed or start wearing out. They were not meant to stay in long-term. It seems the filter may actually act as a nidus for a PE. Some people have filters placed after they have failed warfarin or heparin. 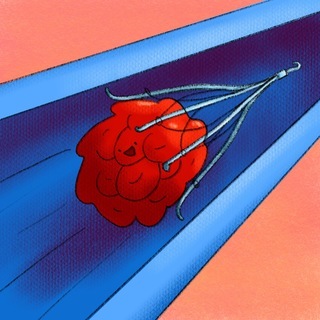 Doesn’t seem to make sense to place a foreign object that then becomes the nidus for a new clot. There is no data to support prophylactic filters and has actually been shown to increase DVTs in the bariatric population in which those filters were studied. How about drug-eluting stents in the IVC like cardiac stents to reduce thrombosis? Exploration of coating the filter haven’t come very far. Researchers are really focused on making them easier to retrieve. Bottomline: An IVC filter is indicated in someone who has a contraindication to anticoagulation. If that contraindication is short-term (and many are), then attempt to have the IVC retrieved and anticoagulation started. Evidence is mounting that IVC filters are associated with complications that increase the longer they stay in place.